How can I update my Razer Blade Pro 2011 or 2012 version to Windows 10? For the Blade Pro 2011 and 2012 model, Razer recommends using the original OS that your product was shipped with. Can I upgrade my NVIDIA GeForce GTX660M with a later NVIDIA or AMD graphics module? 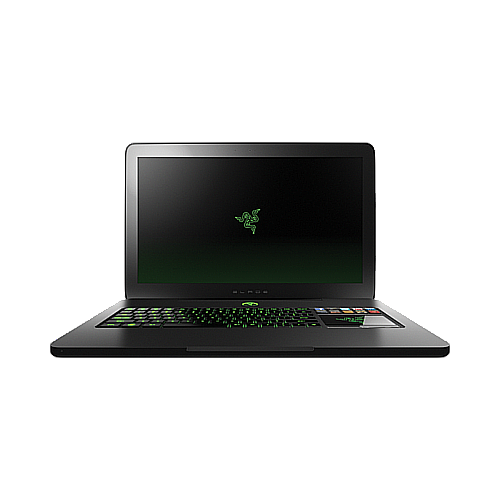 The Razer Blade features a custom GTX660M design that is integrated into the motherboard and does not utilize a removable MXM module. Because of this unique design, upgrades are not available. Do I have to create a Razer Synapse 2.0 account? Do I need to stay logged in to Razer Synapse 2.0 at all times? You will need to log into Razer Synapse 2.0 through the Internet at least once to use your standard Switchblade applications. You do not need to stay logged in to Razer Synapse 2.0 but we advise that you do in order to get the best switchblade experience, including real time updates and synchronizing your custom settings to the Razer Synapse cloud server. Does my Razer Blade come with virus protection? The Windows 7/8 operating system package includes Microsoft Security essentials. Does the Razer Blade come with bloatware? Does the Razer Blade feature a system recovery mode? Does the Razer Blade support NVIDIA 3DTV Play? "The Razer Blade features two graphics processors (Intel HD graphics and NVIDIA GTX660M Graphics). If you would like optimal performance be sure to set your program to utilize the NVIDIA GTX660M graphics processor. If you experience this problem, proceed to the page of the person who posted the tweet with a link. From there you should be able to open up the link. Yes, please visit www.razerzone.com/switchblade-ui/developers for details and availability of the SDK kit for the SwitchBlade UI. Synapse 2.0 will continue to function even if your internet disconnects as long as you check the "staylogged in" box on the login screen. Razer strongly advises all users to stay logged in. Why doesn't my Razer Blade come with a Windows 7/8 OS CD? Because the Razer Blade does not feature an optical drive everything needed to restore your system is on a recovery partition. Yes, Razer will continue to work with industry partners to develop and release more functionality for use with the Switchblade UI.